We are celebrating our second birthday! Two years full of fun patterns, clever crafts and wonderful people went by so fast! Thanks to all of you who support and love TapeSwell. 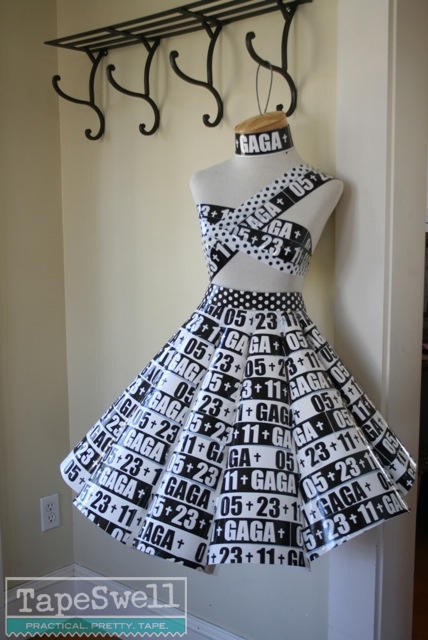 When Lady Gaga placed a custom printed tape order to promote her upcoming concert tour this was what I envisioned. Not sure she will but, I can dream can't I? I have probably spent too many hours watching Project Runway. This tape dress was so fun and easy to make I couldn't resist. I added TapeSwell's Black Dot and White Dot Tapes for a chic effect. Celebrity custom printed tape seems to be on the rise. Last year we printed some M.I.A. tape. I wonder which star will be next? We are so psyched: TapeSwell just signed Amy Sedaris to write a book showcasing Tacky Ideas with Decorative Tape! We have been huge fans of Amy Sedaris. We love her joyfully peculiar sense of humor. She is a great fit for TapeSwell. No, not really. April Fools'! But this photo is real: Amy was in Boston recently doing a reading from her new her book, Simple Times, Crafting for Poor People. The ‘manual’ is funny, crude, colorful and totally over the top with crafts like macaroni alien masks and doll wig doorknob covers. She really grabbed our attention when, in an interview, Amy said her packing tape would be THE crafting supply she would take with her in case of fire. 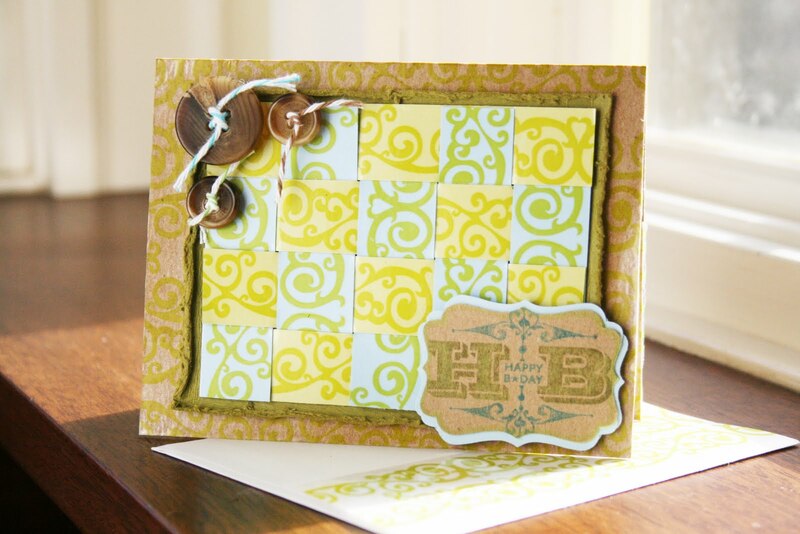 “I love working with packing tape, it just makes everything prettier and shinier, it’s like laminating,” she says. It was great to meet a kindred spirit. And who knows, one day we might get her to write about our Tacky Ideas. You can see Amy in action on the (PG Rated) Amy Sedaris YouTube Channel.